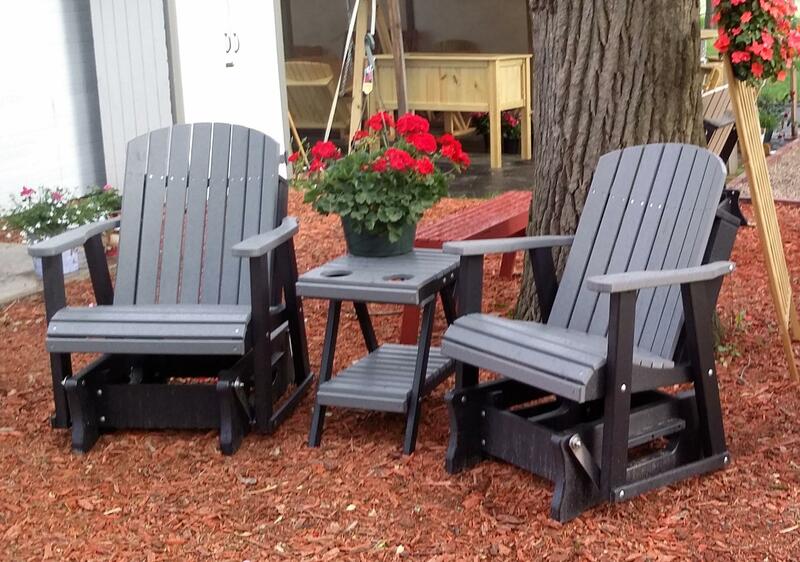 "I have owned two poly gliding chairs from Amish Outdoor Furniture for 10 years. 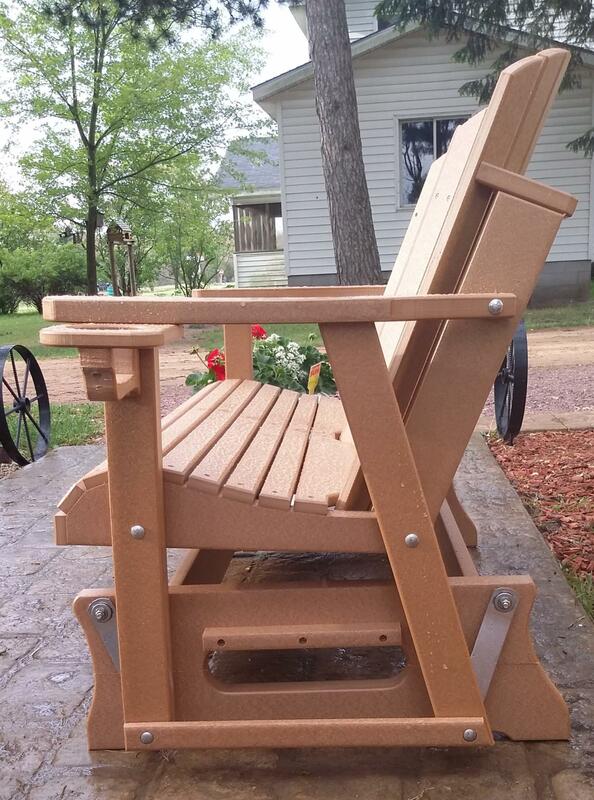 They have been outside in Minnesota winters every year and they still look like the day I bought them - Terry Albert Lea MN"
This is a hand-crafted POLY BARREL BACK STYLE GLIDING CHAIR manufactured by a strict Amish settlement in Central Wisconsin. 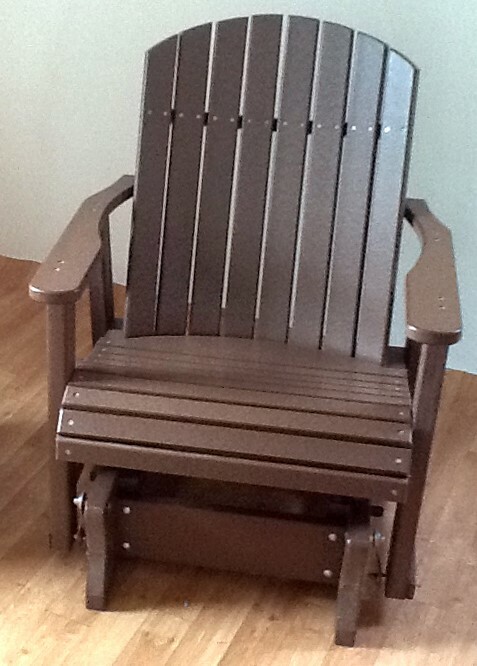 The gliding chair is custom made to order from recycled plastic and stainless steel hardware. We are confident you will enjoy the comfort and the durability of this beautiful piece for many years! High quality GRK star drive Stainless Steel wood screws and Stainless Steel carriage bolts are used in the construction. Using 6-lobe star drive GRK screws guarantee there will be no rounded edges, stripped screws or sharp jagged points that can snag on clothing as with square or phillips screws. Pre-drilled holes and counter-sunk screws provide a clean finished look.